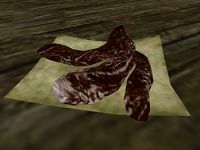 Bristleback Leather is acquired from killing Tusked Bristlebacks, either with or without a mounted Riekling on their backs. 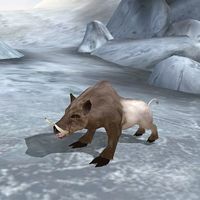 These tough and annoying creatures are found all around the northern parts of Solstheim. The Recall effect is not found on any other ingredients, and thus you cannot create a potion with this effect. And since it's not the first effect, you won't experience it by eating it raw either.